Ancient Egyptian Architecture is mainly based on religious monuments, massive structures with extensive carvings of gods, goddesses, pictorial representation of daily life, structures having thick sloping mud walls with very few openings for ventilation since the climate in Egypt is very hot and dry. 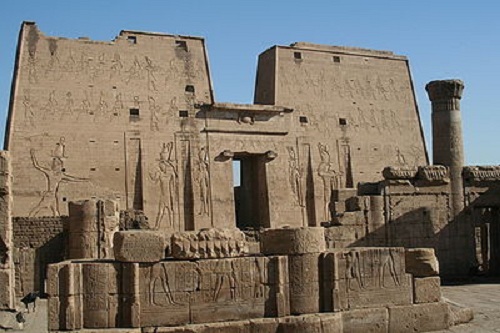 The “Temple of Horus” at Edfu is an example of the Ancient Egyptian Architecture. It is very well preserved even today and is considered as an “Architectural Sculpture”. The carvings done on the walls of the structure were considered as ornamentation in Egyptian period. The Great Pyramid of Giza and Great Spinx of Giza are architectural monuments of ancient Egyptian Period. They are very popular for their uniqueness in massing and proportions. 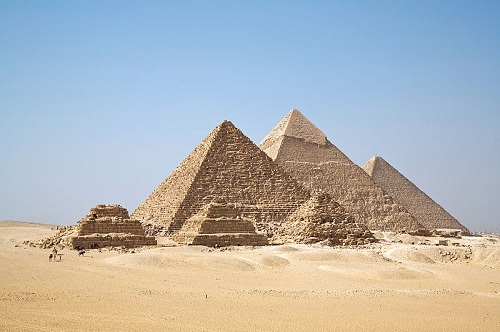 The materials used in the Ancient Egyptian period were sun baked mud brick, stone, limestone. Granite and sandstone were also used at certain places. Wood wasn’t used as a material for construction since it was scarcely available. Ziggurats were a popular construction in Mesopotamian Architecture. They were massive structures built in ancient Mesopotamian valley and western Iranian plateau. They resembled a terraced stepped pyramid with receding levels. Sun baked bricks were used for the construction of the core of the Ziggurat and the facings were of red bricks. Glazed bricks were also used on the external surface of the Ziggurats. The glazing was done with various colours and also had astrological importance. Kings sometimes carved their names on these glazed bricks as a symbol of pride and power. Indian Architecture cannot really be defined as one single Architectural style. The Architecture in India is a blend of various architectural styles of the world. The Architecture in India developed with the established a result of examination and implementation of its established building traditions and outside cultural interactions. We shall discuss “Indian Architectural Styles” in detail later in our next article… Now we shall carry on with our journey of the world Architectural Styles. Immense emphasis was given to bilateral symmetry and articulation in Chinese architectural style. It signified balance and symmetry. The concept of having a central open courtyard was also very popular. From huge mansions, palaces to small homes or farmhouses, the concept of central courtyard and bilateral symmetry would be followed. 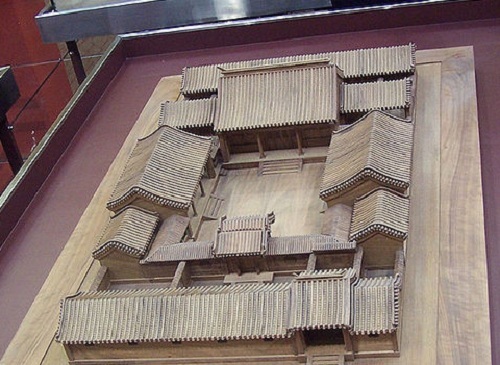 Chinese Architecture reserves its originality even today. It hasn’t gone under much change inspite of changing lifestyles and technology. This architectural style has had a great influence on Korean, Vietnamese and Japanese architecture. Initially, people in Japan were hunter-gatherer. They practiced agriculture as their occupation. The earliest structures found in Japan were pit houses. The early dwellings comprised of shallow pits, tamped mud floors. The roofs were made of grass and designed in a way to collect rainwater with the help of glass jars. The climatic conditions in Japan started changing. The climate of Japan got colder and colder. The population of Japan started declining since they could not bear the harsh weather. With the advent of Buddhism, temples were constructed. This era led to the development of Architecture and culture in Japan. The architecture of Japan was greatly influenced by Chinese Architectural Style. 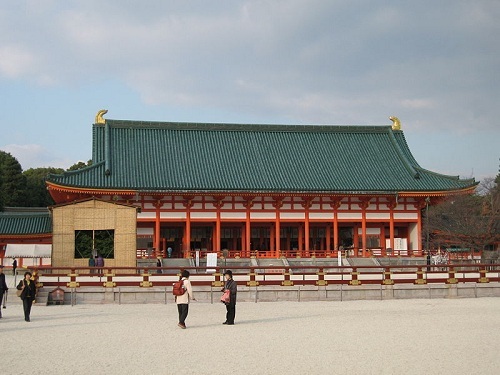 The elements of Japanese Architecture are much similar to Chinese Architecture. The wings of the Palace were designed in such a way that they formed an inner central Garden. The landscaping of Japanese Gardens was commendable. Along with plantations, they created artificial water bodies and construted bridges over them. This gave a very special look to the place. Greek Architecture is distinguished by both its structural form as well as the decoration. It had a profound effect on the Western Architecture. It influenced Roman architecture and is maintained in Italy even today. From the Renaissance, revivals of Classicism have kept alive not only the precise forms and ordered detailed of Greek architecture but have also reserved the concept of architectural beauty of balance and proportion. The best known examples of Greek Architecture are its elegantly designed temples. 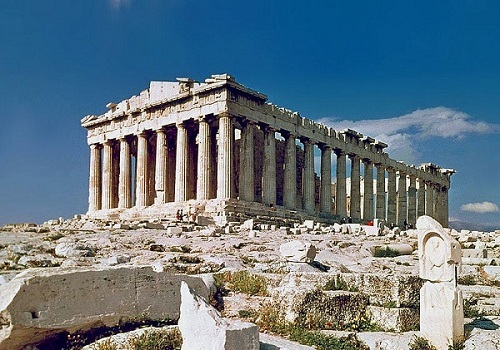 Parthenon is an excellent example of the marvels of Greek Architecture. Most of them are in ruins and many substantially intact. The second most important structure that is popular in the Hellenic world and still lasts today is the open air theatre. This entry was posted by Benzu JK on July 26, 2011, 10:50 pm and is filed under Architecture. You can follow any responses to this entry through RSS 2.0.
indian architecture is so ancient …the ancient dravidians who came from mesopotamia 9000 yrs ago established the mergarh and other civilisations..but not as you say only 1500 bc..it was long before that..eurocentrism? when talking about ancient india..do not include the very recent and the very ionfluenced british rule..the british were very influenced by the indian culture and not the other way around..